One more peculiar chapter was just added in the lore of Greek basketball. Olympiacos has decided not to play anymore against Panathinaikos unless non-Greek referees are appointed to their games, the 11th-hour meeting on Friday night didn’t change much and Panathinaikos was awarded today the 20-0 win by forfeit of Olympiacos. Typically, Panathinaikos should get on the court of Olympiacos gym in order to be awarded the win, however, all sides decided due to security reasons that Panathinaikos had to go to the league offices, which are coincidentally situated also in the OAKA complex just a few hundred meters away from Panathinaikos’ home court. 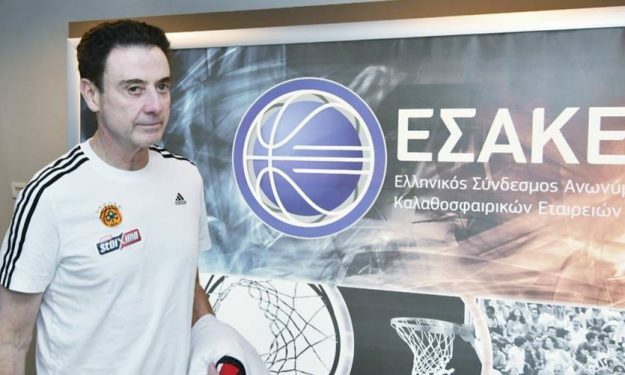 Panathinaikos stayed present in the offices for 15 minutes and in theory willing to play, in order to follow the typical procedure before getting awarded with the win by forfeit, and then returned to the gym for practice. Meanwhile, Olympiacos has also scheduled practice at their home gym for today, preparing for the upcoming EuroLeague games. Olympiacos is expected to lose six points from the Greek league standings, which might end up being in total 12, because of their decision to leave the Greek semifinal Cup game at halftime. Olympiacos can also be relegated to the second division if they forfeit one more league game.